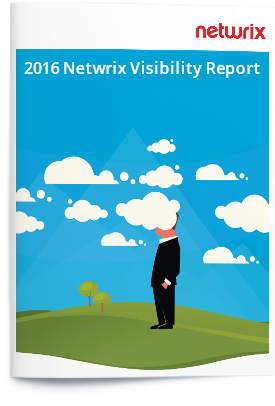 The 2016 Netwrix Visibility Report explores whether organizations have visibility into various elements of their IT infrastructures and whether visibility helps organizations to succeed in ensuring they have control over their IT environments and in mitigating various risks, including insider threats. The report also reveals how organizations worldwide perceive that the current state of visibility will change in the near future. of technology users claim to have zero or partial visibility into their cloud and hybrid environments. of respondents are either not aware or only partly aware of what is happening to their unstructured data and file storage. of organizations do not have complete visibility into user, IT staff and third-party activity in their IT infrastructures.